The Samsung 360 Round camera is revolutionizing 360 VR content creation, being the first 360 camera to offer sought-after features like stereoscopic 3D and spatial audio at an amazing price. But to get the most from your 360 Round, you need to pair it with the right hardware. 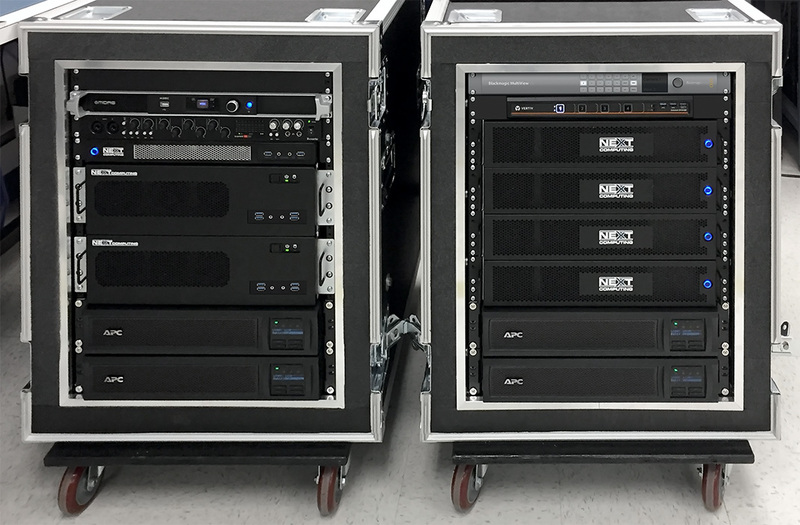 Enter NextComputing’s Radius and Edge series high-performance portable workstations: turnkey systems for live production and post-production with the Samsung 360 Round. Now you can produce 360 VR content from anywhere with confidence. For live broadcast, the Radius Live allows live stitching and streaming directly from the Samsung 360 Round to 360 video platforms like YouTube, Facebook, and Samsung VR, or outputting 4K stereoscopic 360 video to external encoders or live switching systems. For off-line stitching and editing of your 360 Round clips, the Edge offers desktop-level performance in the smallest possible packaging, allowing you to review and edit your footage as quickly as possible on location or in the studio. With all NextComputing systems you get the portability of a laptop with no sacrifices in performance. NextComputing systems are field tested and fully backed by a company with two decades of experience in production computing. High-quality, padded carrying bags with a shoulder strap and extra pockets for your accessories, and can be branded with your company logo. 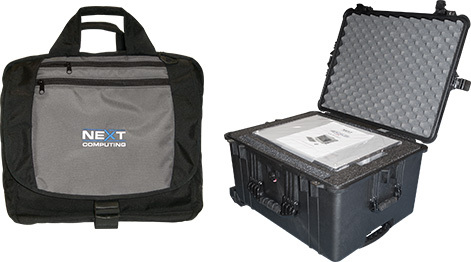 Rugged hard cases that are crushproof, air tight, and built to withstand frequent travel or harsh environments. 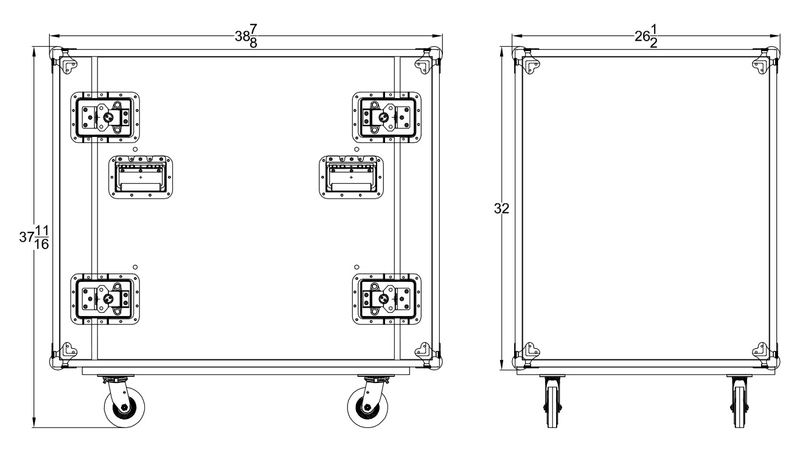 We customize the internal compartments of the case to fit your system and accessories. 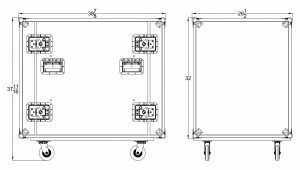 If your needs require more than a single-camera system, NextComputing also provides turnkey rackmount systems for multi-camera live production. 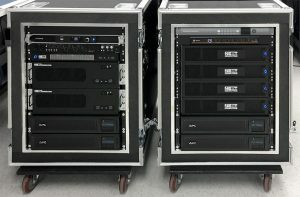 Unlike piecemeal approaches using separate stitching computers and traditional broadcast switchers, NextComputing’s solution elegantly integrates every component of the 360 live production workflow into as few cases as possible, and with only minimal cabling. 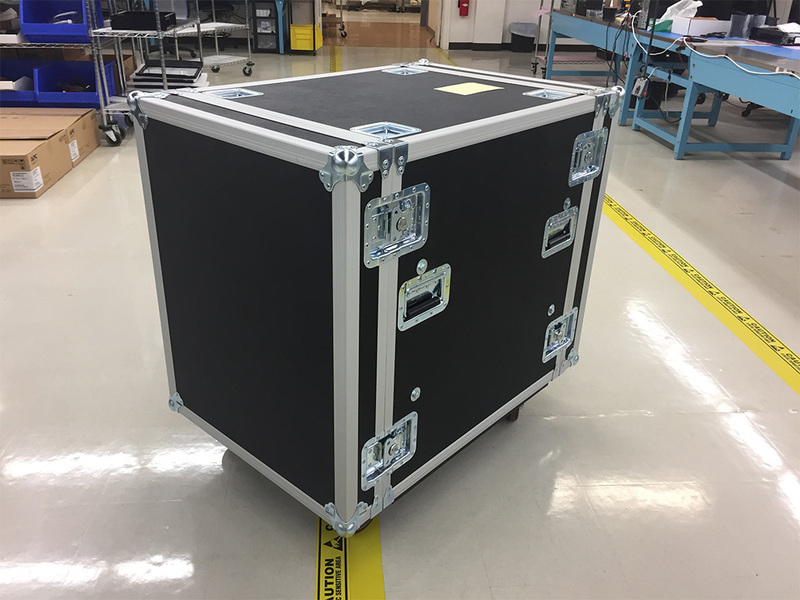 Systems can be customized from a single transport case to a road-ready bundle complete with monitors and monitor travel cases. 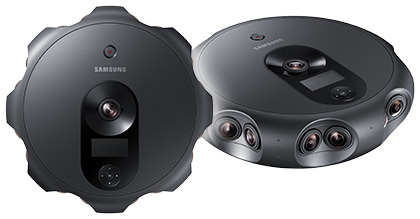 The Samsung 360 Round is a high-quality 360° professional camera for creating and livestreaming 4K 3D content to deliver an exceptional virtual reality experience. Built for hours of continuous shooting with a compact, uni-body chassis designed to reduce heat and power consumption. With expandable connectors and ports for easily connecting additional equipment, the 360 Round provides long lasting shooting for any sized job.